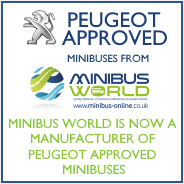 Minibus World, based in Staffordshire, has a range of Community Transport Minibuses for sale with various seating plans, wheelchair access, sign writing and optional extras, ensuring that your exact needs are met. We listen closely to your requirements and have years of experience in sourcing, building and converting community transport minibuses including wheelchair accessible vehicles. From our site in Stoke on Trent we deliver nationwide and provide service, warranty and repair options that are local to you. We also offer minibus finance, minibus leasing, minibus hire purchase and minibus contract hire ensuring that we meet your budget. To find a suitable Community Transport Minibus please view our stock below or use the Search for a Minibus form on the left. Alternatively please call 01782 444 289 to speak to our sales team.